Does anyone else prefer to enjoy a date night in on Valentine's Day? My husband and I do. We have three kids and are at a busy stage in our lives, so we don't need much to feel like we're on a date. 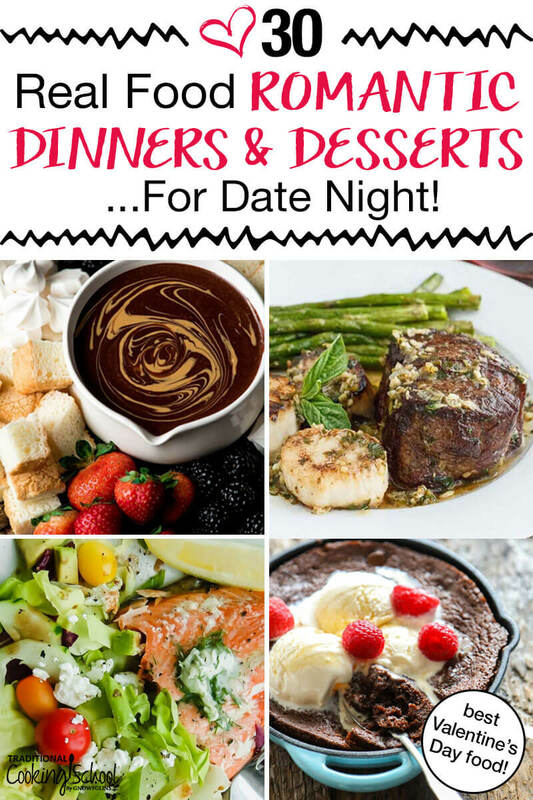 If this rings true to you, too, here's a collection of romantic date night recipes so you can celebrate a special holiday without spending a lot of money or fighting the crowds at restaurants. The two most important courses on Valentine’s Day are, of course, dinner and dessert! 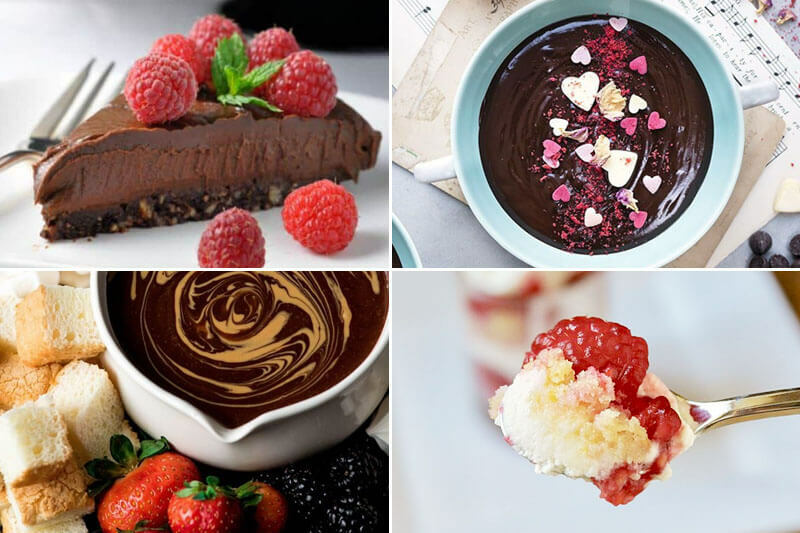 This round-up offers you 15 fun and special real food romantic dinners and 15 of the best homemade desserts from which to choose. Images courtesy of My Everyday Table, Savoring Today, Learning to Smoke, and The PKP Way. *I never thought I’d make lobster at home… until I read this recipe and looked at the photos taken by the author! She makes it all SO easy, and it’s not as expensive as I would have thought! So if you love lobster, this would be a fun and easy dinner that’s definitely special. Images courtesy of Flavour & Savour, Supergolden Bakes, Joy Food Sunshine, and Christina's Cucina. 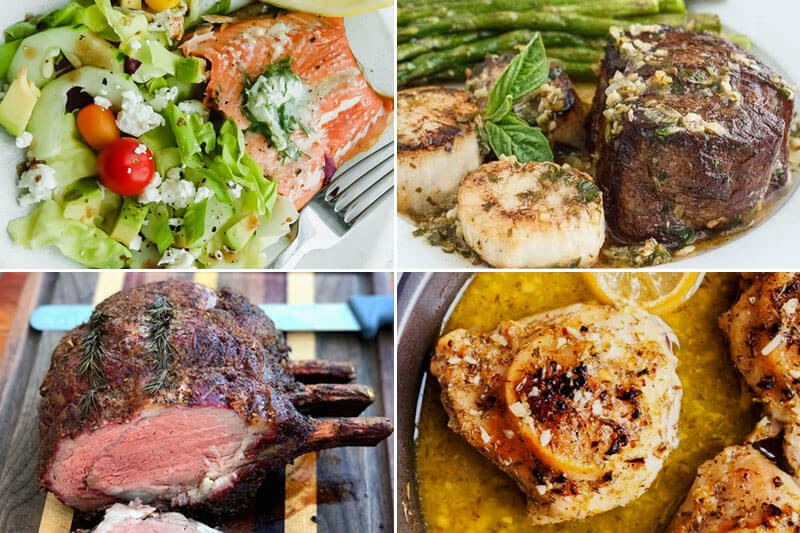 Which Valentine's Day food ideas will you try for your next date night? Main image courtesy of Joy Food Sunshine, Savoring Today, My Everyday Table, and Live Simply. Thank you Christina! So happy to include your lovely trifles!! Love all these beautiful ideas ideas! We’ve been saving for our new home so eating out is more of a rarity. And it’s amazing how Home-cooked dinners feel even more special. Thanks for including my Spaghetti & Meatballs!